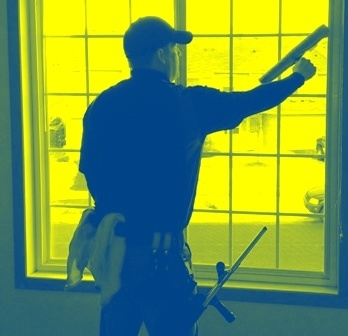 Time to find a window cleaner to knock the dirt off your windows on your Shakopee, MN home? We are a detail oriented window washing company that runs one crew and I ensure that I will personally be on EVERY job to ensure that the quality is up to my standards which usually is higher than 99% of my window cleaning customers standards, needless to say I am a detail freak. We hand wash your windows inside and out and also offer screen cleaning if you opt for that. I warn you, clean windows are addicting! Once you get to enjoy that view again from your homes windows I ensure I will be seeing you again in the future to refresh that view again. Window Washing – Make those windows sparkle again with a full window cleaning! We do basic outside only packages and complete packages that include inside window washing, outside window washing, and screen/sill cleaning. Gutter Cleaning – It is critical to ensure your gutters are properly draining water away from your home. Dirty gutter during a heavy rainfall often overflow the gutter sending the water straight down which can pool next to your foundation. We will hand clean each section of your gutters and take the waste with us when we leave. Pressure Washing– We also offer pressure washing services and can work wonders on old decks and patios. We also offer whole home cleans, driveways, screened porches, and sidewalks.